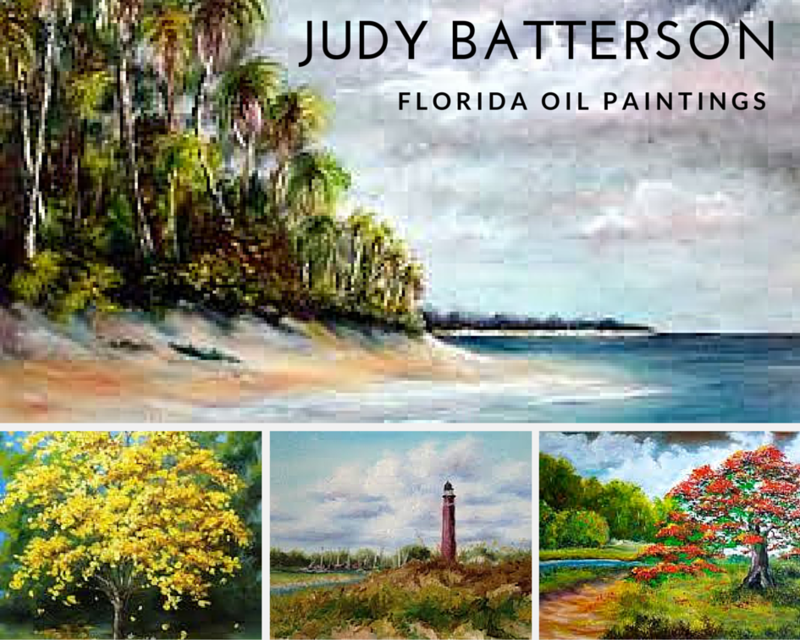 Continuing the traditional art of the Florida Highwaymen, Judy Batterson's Florida oil paintings erupt with vivid color and challenging dimensions that support each utopian landscape. Inspired by the Florida coast and its beauty, Judy's talent breathes life onto the canvas. Her credentials and persistence makes each piece of work unique and inspiring. Visit the galleries and get lost in each meaningful paradise. Contact Judy for more information or for a private viewing for your own personal art escape. Enjoy one-of-a-kind Florida oil paintings by a Florida native!